Looking for a Drug Rehab and Alcohol Rehabilitation Program in Nevada? Nevada is a state which has very distinct substance abuse problems, but because it is mainly made up of desert and otherwise rural, many areas of the state don't have local access to treatment. So it is important for residents to know where to look to for help and rehab services. If someone does have a problem for drugs or alcohol, they should immediately reach out to a professional treatment counselor who can determine which drug rehab program in the state is going to be the best option and guide them in the right direction to get started. 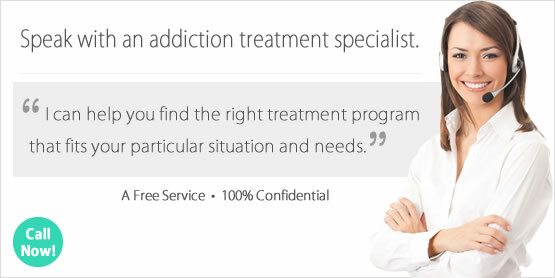 If someone you care about has a drug or alcohol problem, you may need to take this first step for them by speaking with a treatment counselor who can help intervene or perhaps guide you and other loved ones through a drug intervention so that the individual can get started in treatment in Nevada right away. There were over 7,000 individuals were enrolled in some type of substance use treatment in Nevada in 2013. Among individuals in Nevada enrolled in substance use treatment that year, nearly 76% were in treatment for drug use only, nearly 21% were in treatment for alcohol use only, and nearly 13% were in treatment for both drug and alcohol use. When looking into which illicit drugs were significant problems among treatment admissions in the state, amphetamines and opiates are the most significant drug problems in the state. Amphetamines and opiates are both categories of drugs which are highly addictive and destructive, and are associated with very serious consequences for both short term and extensive use. Drinking is a very serious problem in Nevada, and this starts at a very early age for residents who say they consumed their first alcoholic drink before the age of 13 at a rate which is over 4% higher than the national average. Around 2,000 residents sought help for an alcohol problem in Nevada in 2009, yet so many more who had an alcohol problem didn't get the help they need. To close this gap, residents in Nevada must seek the most effective help possible and look beyond the traditional methods and the programs which may have failed them in the past. Alcohol treatment in Nevada must be aggressive enough to match the treatment need of the client, and for individuals with serious alcohol problem the alcohol treatment which is most aggressive in the state are long term inpatient or residential programs. There are only around 80 drug treatment programs in the state of Nevada, and 65 of these are outpatient treatment programs. Most of the outpatient programs in the state deliver the very minimal amount of treatment such as counseling and therapy to clients anywhere from 1 day a week. There are intensive outpatient programs also, and about half of the programs available offer more intensive treatment several days per week on an outpatient basis. There are also 6 facilities in Nevada which provide day treatment/partial hospitalization, which is an everyday treatment regiment that may also make additional services available to clients such as dual diagnosis treatment for individuals with a co-occurring mental health disorder. Likely associated with the opiate abuse problem, there ae 16 outpatient programs which deliver methadone and buprenorphine services to opiate dependent clients. Opiate maintenance services are very different from traditional treatment services, and isn't treating the actual cause of the problem and only effective in curbing cravings and stopping harsh withdrawal syndrome. As an alternative to outpatient treatment in Nevada, there are 6 hospital inpatient facilities and 20 residential non-hospital programs which deliver either short-term 30-day treatment or long term treatment. Many of the benefits offered in inpatient and residential treatment naturally reduces risks associated with relapse, such as being drug and alcohol free and helping provide full focus on treatment without the ever day distractions clients would encounter as outpatient clients. Inpatient and residential programs generally in Nevada have much higher success rates than outpatient programs because of this, and also because they often provide the most comprehensive and extensive treatment plans. What does Inpatient Rehab in Nevada Involve? In 2013, there were only around 650 clients participating in inpatient or residential treatment in Nevada, and most residents chose outpatient treatment. Fortunately, those who did choose the more effective route of treatment chose the long term treatment option which is the best option for chronic long term addicts. In a short term inpatient or residential program in Nevada, clients receive brief but aggressive intervention and become physically and emotionally stabilized. This is only 30 days, so the expectations have to be commensurate with what can be accomplished in such a short amount of time. Long term treatment however allows clients and their families to raise their expectations, because it is far more realistic to resolve a long term drug or alcohol problem over several months. What does Outpatient Rehab in Nevada Involve? Outpatient treatment in Nevada primarily focuses on group and individuals counseling, focus groups, etc., and most of the programs available utilize the 12-step approach which clients are familiar with if they have been in treatment in the past. There are outpatient treatment programs in Nevada which offer more individualized treatment, and even alternative treatment to the usual services they have become accustomed to if they have been in outpatient treatment before and relapsed. Alternative services which are more personalized include behavioral modification and motivational therapy, and other holistic approaches which address the person as a whole; body, mind and spirit. It should always been kept in mind however that someone who has taken part in outpatient treatment before but relapsed won't typically do any better subsequent times, and an inpatient or residential treatment program would be far more ideal.